If you know your visitors are viewing your site from mobile devices it’s good practice to have a mobile version of your site available or have a responsive theme which will make your site look good even on small handheld mobile devices. Here’s a comprehensive list of 72 Responsive WordPress themes currently available. I will be keeping this post up to date so please bookmark it. Without further adieu, here they are..
1.Seven Wonders Responsive Theme – SevenWonders is a clean and modern wordpress HTML5 theme that is Fully Responsive, which mean the layout will adapt depending on the device screen size. 2. Agenci is a full-featured WordPress template built for creatives, agencies, freelancers, graphic designers and the like, who just want a professional, jazzy and ultimately kickass website. 3. Akita- HTML5 and CSS tableless design, Responsive design for all screen resolution sizes, Option to turn special stylesheet that targets tablets and mobile devices off or on. 4. Aleska – is a very corporate looking theme so it’s perfect for businesses of all types. The navigation menu is really nice and includes a homepage slider. Yet another nice responsive theme. 5. Angular – A fully responsive theme that really stands out. It is a responsive WordPress Theme (try resizing your browser), suited for users who want to showcase their work on a neat portfolio site. 6. Arcadian - Is a responsive theme with a nice photo sliding grid on the homepage. Comes with a layout builder, widget ready and has plenty of room for all your content. 8. Artisan – Unlimited skins, fully responsive design and a drag and drop slider with touch support. Includes a filterable portfolio and 9 custom widgets. 9. Aware - an interactive, responsive portfolio theme perfect for freelancers, web designers, photographers and videographers alike. 10. Bangkok- a responsive theme for news and editorial type blogs. Bangkok is SEO optimized, has unlimited colors, 6 footer layouts, 10+ blog styles, 450+ fonts available, Drag Drop page builder and a Drag Drop slider manager. 11. Barely Corporate - a clean WordPress theme that couldn’t be more easy to use. With a beautiful exterior and a backend that gives you ultimate versatility and freedom, Barely Corporate will have your website up and running in no time. 12. Brilliant - Fully responsive design compatible with mobile and tablet devices. Choose from light and dark skins with unlimited color picker. 13. Construct- a clean and semi minimal responsive theme perfect for portfolios or travel blogs. Includes different Post Formats (Standard, Image, Gallery, Video) and Left or Center Aligned Layout Options. 15. Darwin – a responsive theme with a nice masonry layout that is filterable to display portfolio pieces in a nice grid fashion. 16. Di’verso – a fresh and clean multipurpose WordPress Theme, built for your corporate/portfolio site or your personal blog. 5 Different homepage sliders, homepage page composer, 960 grid system layout, unlimited custom colors and backgrounds. 17. Eventure- built specifically for events Eventure is fully responsive and comes with 15 home page combinations, full layout control and unique calendar layouts. 18. Exposure – built with a bunch of features Exposure is a fullscreen photography theme with unique features liked blurred out menus and an audio player. 19. Focus – A carefully crafted, multi-optional responsive WordPress theme, designed for business, professional portfolios, flexible personal blogging sites. 20. Good Minimal – a responsive HTML5 & CSS3 , clean and minimalist style theme that is good for portfolio, blogs and businesses. This theme is flexible and is used media queries to adapt screen sizes, weither it is iPhone, iPad and wide screens. 21. Gratitude – a responsive Buddypress theme as well as a WordPress theme Gratitude offers lots of shortcodes with easy insertion, unbranded white label admin panel, unlimited sidebars and coded with love. 23. Hypergrid – a feature-rich, responsive WordPress theme which easily transforms your basic blog into a fully functional gallery showcase website. Includes filterable gallery, submission form for visitors, built in advertisements and more. 24. Instyle – Instyle is a responsive HTML5 & CSS3 Portfolio theme with WordPress post format support. Instyle uses Twitter Bootstrap CSS3 / HTML5 framework for easier development. 26. Knead – A responsive theme in both light and dark skins with custom services templates to list all your business services. Comes with automatic image resizing, advertisement management and ajaxified comments. 27. Kraken is a clean and modern Business & Portfolio WordPress theme that’s perfect for showcasing your work in a minimalistic fashion. Includes both light and dark versions, drag and drop homepage content management and more. 28. Locus – Responsive layout, 3 skins: Dark, darklight, light, 3 backgrounds for each skin, Filtered portfolio, One page news and jQuery enhanced. 29. Luckytimes – A responsive theme with a clean and unique grid layout. Includes custom google fonts, PSD files for customization, unbranded admin panel and more. 30. Lulu – Lulu is a fully responsive, minimalist, awesome WordPress theme, responsive flex slider, filterable portfolio/gallery and built-in contact form. Includes Flex Slider and 4 custom post types. 3 Different Color Schemes, including different colored icons. 31. Mercury – A responsive business theme with filterable portfolio, 8 custom widgets, 3 slider options, 5 default skins and 40+ shortcodes. 32. Modernize - A responsive WordPress theme with a lot of flexibility because of it’s built in Drag and Drop page builder. Includes font uploader, Unlimited Color, Unlimited Sidebar, 6 Footer Layouts, Logo Uploader, Background Uploader, Price Table and more! 34. Momento – A fullscreen photography theme that is responsive. Responsive full-width slider which can also expand up / down at the click of a button. 35, Mooncraft - A dark responsive theme with full control over colors and is also touch screen compatible. Includes 10 custom widgets. 36, Mosaico - a unique and responsive magazine WordPress theme with clean, sleek and customizable design. Video ready, 11 custom widgets, Full featured posts, Unique Mosaic section, Logo and favicon upload, Sidebar tabs and more. 37. My Mobile Page V3- Complete Touch flexible navigation, Fluid responsive layout, Flexible slideshow, Responsive carousel image Notebook is a responsive and simple-to-use WordPress theme for the creative agency, freelancer or virtually any other business looking for an attractive, professional web presence.gallery. 38. Notebook is a responsive and simple-to-use WordPress theme for the creative agency, freelancer or virtually any other business looking for an attractive, professional web presence. 39. The Novelist – This theme is built for the serious writers looking to showcase their writing. Book-style layout with Left/Right arrow key support, slideout widget panel, fullscreen image backgrounds and more. 41. Orchid – Orchid is a simple and clean portfolio type WordPress template. It is filled with tons of features but i would say its responsiveness is its key feature. Homepage carousel, 3 different color schemes, 8 different post formats etc. 42. Pixel Power - This is a clean, modern, powerful WordPress tumblog-style theme designed for a wide variety of uses from bloggers to design portfolios. The responsive web design adapts from large to mobile screens, just resize the browser window to test it out, no additional setup required! 43. Pixem – a Responsive Portfolio Template for Individual Professionals & Agencies. Clean Lines & Minimal Design Approach Highlights your Work. Showcase your Portfolio on any device efficiently with its Unique Responsive layouts. 44. Propulsion – A responsive theme by the popular Kriesi developer on Themeforest. Includes well thought out SEO coding and many different features such as custom post types, woocommerce shop plugin compatibility, bbpress ready. And the list goes on. 45. Reach – Reach is a business portfolio / showcase WordPress theme that offers clean styling with easy use and flexible layouts though shortcodes and template options. 47. Reaction – more than a WordPress theme, it’s a comprehensive HTML5 framework and it includes a full templating system as well; A collection of several incredibly powerful scripts and CSS structures that’s been tied together into a kit that’s perfect as a jumping off point of your next project. 48. Responser – Built-in mobile & tablet styling. No need to recode for iOS or Android., Sliders and portfolio galleries are touch-enabled(swipe left/right) and orientation-independent and Portfolio images display fullscreen and swipe-enabled on mobile devices. 49. Rewrite – a versatile WordPress theme with a super clean, responsive design. This theme looks just as great on the iPhone as it does on the desktop. Swipe support for sliders and fully scaleable embedded video support make this a great theme. 50. Rising – A fully responsive theme with mobile swipe gstures fully supported on sliders & scrollable sections. The WordPress framework is rock-solid and has been tested in thousands of websites, with various server configurations. 51. Ruskin – Responsive layout with multiple post format support along with 6 custom widgets, backgrounds, and unlimited sliders. 52. Sapienta – a minimal design portfolio theme with a responsive layout using a smart fluid grid and CSS Media Queries. 53. Saviour – a responsive WordPress theme with 18 custom fonts, 12 page templates, custom widgets, options panel and WordPress 3.3 compatible. Fully optimized for the iphone. 54. ShapeShifter – Fully Responsive WordPress Theme and Theme-Options Manager. The Super Skeleton UI Kit (Exclusive Freebie PSD ). 3 Minimal skins and 2 fontstacks to start with. 55. SizeMttrs -a responsive and unique theme designed for Designers, Artists, Photographers, etc, who want to show their work from a wider view, but adapting it to any device. All your content will adapt to any screen, wide screen, laptop, tablet and smartphone. 56. Slate - A responsive theme with both light and dark styles Slate is very clean and minimal. Fully Scalable Galleries, Mobile Swipe Support, Fully Scalable Embedded Video. 57. Sodales – Sodales is a responsive WordPress business theme with lot’s of cool and useful options and built upon the 1140 cssgrid. Valide HTML5 and Background image uploader for pages, posts and custom post types. 58. 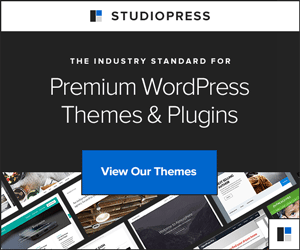 Styx – Styx is the Reponsive WordPress theme for Business, Corporate, Software, Portfolio and Blog built with latest WordPress features. Custom Post Type, Customizing Elements Colors, Extensive admin panel etc. 59. SupaFlex – Responsive theme with built in layout composer, Localization ready, unlimited color options and more. 61. Supportive- awesome fully responsive knowledgebase theme with a Fully Responsive design, Unlimited Colors, Multiple Backgrounds and a Built-in ajax contact form. 62. Swagger- HTML5 and CSS tableless design, Responsive design for all screen resolution sizes, Option to turn special stylesheet that targets tablets and mobile devices off or on. 63. SWIX – Swix is an extremely customizable and flexible theme, suitable for almost any kind of website. All pages and posts can be manually changed in the options panel via drag and drop functionality. 64. Trine – Trine is a Responsive portfolio theme for WordPress. It’s packed with useful elements, functions and shortcodes that respond with the layout. Featured section can be displayed as a slider, static image or video. 65. View – Really nice minimalist design that is best for personal and portfolio websites. It includes a lot of features like gallery, video, flex slider, and a many more. Available in 5 different color schemes. 66. Vue – Responsive design with fullscreen slideshow and MP3 audio player. Unlimited backgrounds, built in ajax form, google maps and twitter integration. Perfect for starting a gallery of inspiration. 67. Website – A responsive theme with unlimited sliders, multiple post formats like tumblr and includes 8 custom widgets. 68. WebWorks – Webworks is a powerful theme that allows to construct pages in different ways. Incoludes 4 featured menu styles, 9 portfolio styles including 6 sliders and 3 grid layouts. Supports video with 4 built in widgets. Has a custom logo autofit feature so your logo will fit nicely no matter the size. Includes custom font support. 69. Webzine – Webzine is a Responsive Layout magazine and portfolio theme with creative jQuery brick slide, it can be set as a magazine website, blog, personal homepage, portfolio, and so on. Includes infinite scrolling. 70. William - a grid-based, responsive, minimalistic, ajax powered portfolio theme for creatives. The theme comes with a well thought out responsive layout, unlimited sidebar management, 5 post formats, simple theme options and much more. 71. WP Pro Real Estate – currently the only Responsive theme on the real estate market. WP Pro Real Estate 3 is one of the most powerful real estate themes purpose built to showcase your listings, loaded with more features than you can shake a stick at! WordPress 3.2+ & 3.3+, HTML5 & CSS3, Unlimited Skins & Patterns, Unbranded AJAX Powered Admin Options Panel, Drag & Drop Homepage Builder and Flex Slider with Touch Support. 72. XO – SUPER responsive WordPress theme, that boasts an awesome clean look and beautiful media support. Designed around the 960gs grid and HTML5/CSS3 it includes a filterable portfolio and 68 preset backgrounds. Skeleton – Beautiful responsive template boilerplate for responsive designs. 1140 CSS Grid – 12 columns fluid to mobile layout.